ARTPRIZE STRIVED TO REDUCE THE CARBON IMPACT OF THE 2014 EVENT AND SUPPORT CITY-WIDE SUSTAINABILITY SOLUTIONS. 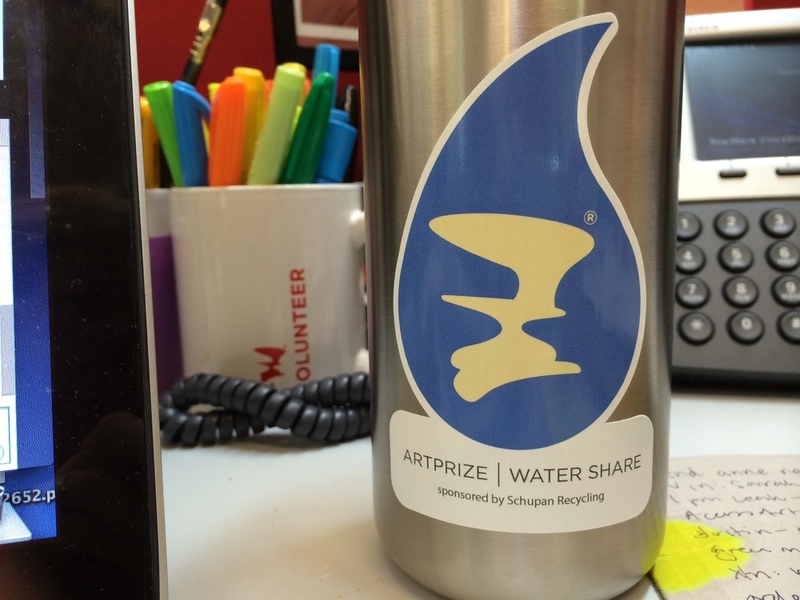 134,550 plastic bottles were diverted during the 2014 event through our new Water Share Program, which provided a system for visitors to refill their reusable water bottles at 22 participating venues. The ArtPrize visitor experience was built around public and alternative transportation options like The Rapid, the Meijer Park and Ride program, two centrally-located bike valets and nearly 10 miles of accessible Pathways to lead visitors throughout downtown ‪Grand Rapids‬. ArtPrize launched a Zero Waste Zone in 2014, to divert waste from trash cans to composting and recycling bins at the heart of the ArtPrize district.